The MICROMOT Drill Stand MB 200 features a geared rack and pinion feed with return spring, allowing effortless and sensitive operation. Practical drill depth scale with adjustable limit stop (maximum travel 1 1/2 inch (40mm)). It features a standard 4/5 inch (20mm) collar for MICROMOT drilling and milling devices and a solid, hard chromium-plated steel column at 11-inches x 4/5 inches (280 x 20mm), as well as a throat capacity (column inside to centre of tool) of 5 1/2 inches (140mm). The DEWALT Heavy Duty Miter Saw Stand features a versatile design that works with most brands of miter saws. Constructed of lightweight aluminum, it weighs 35 lbs. allowing for easy transportation to and from the job site. The 5 1/2-inch beams extend to support 16 ft. of material and can hold up to 500 lbs. The legs fold for storage and have lock levers for fast set-up. The DWX725B Heavy-Duty Work Stand with Miter Saw Mounting Brackets is built to handle the toughest jobs with capacity of 1000 lbs (each). Compact design, transport latch, and lightweight aluminum construction (17 lbs.) enable easy transport. Leg lock levers allow quick set up. Includes DW7231 miter saw mounting brackets for use as a tool stand. 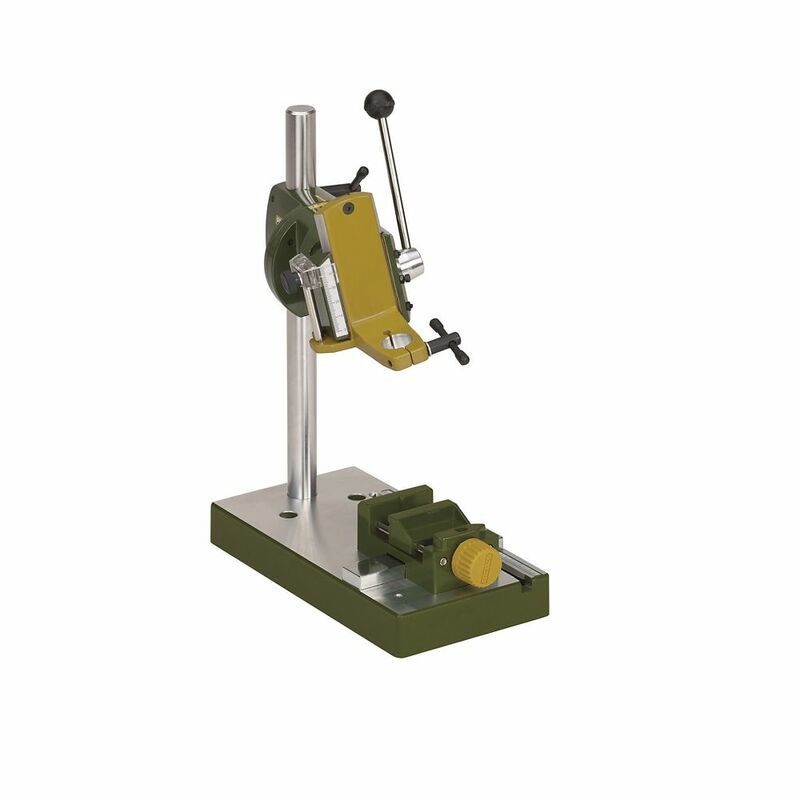 MICROMOT Drill Stand MB 200 The MICROMOT Drill Stand MB 200 features a geared rack and pinion feed with return spring, allowing effortless and sensitive operation. Practical drill depth scale with adjustable limit stop (maximum travel 1 1/2 inch (40mm)). It features a standard 4/5 inch (20mm) collar for MICROMOT drilling and milling devices and a solid, hard chromium-plated steel column at 11-inches x 4/5 inches (280 x 20mm), as well as a throat capacity (column inside to centre of tool) of 5 1/2 inches (140mm).